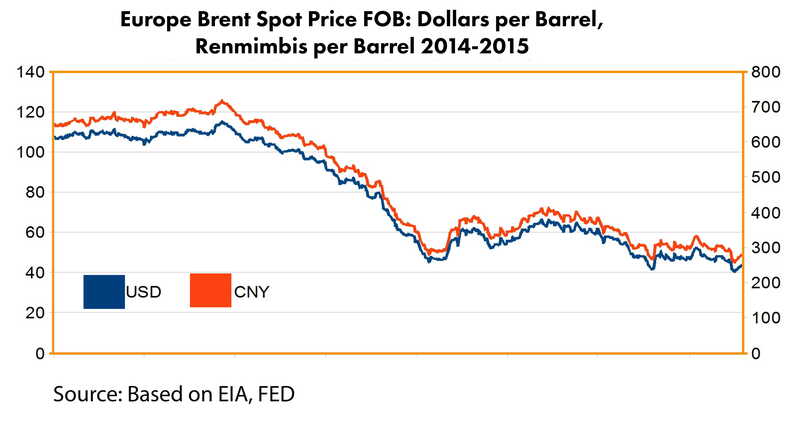 Oil price has collapsed and is not going to rebound quickly. But not all the oil-consumer countries benefit from low prices in the same way. And not all oil-producer countries suffer equally. 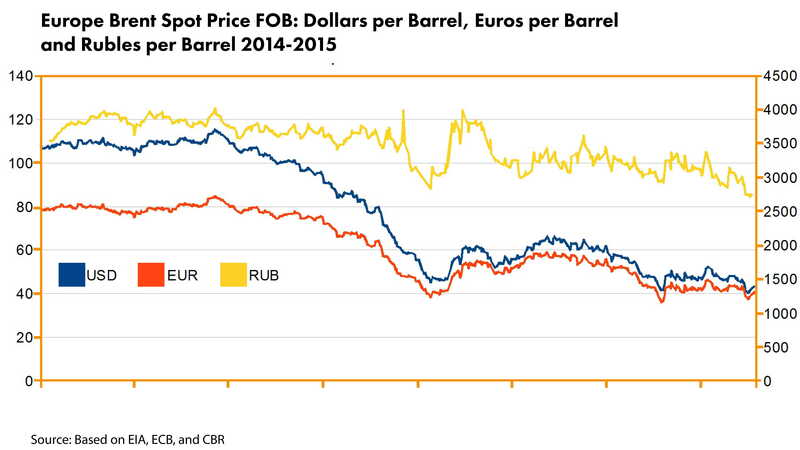 Oil prices change as the values of currencies do. Purchase or sale contracts for oil are usually long term ones, the price of oil in such contracts does not change very frequently. Fluctuating exchange rates of currencies are still enormously important for the economies. Oil for $40 per barrel does not mean that this barrel is also as cheap in all countries as consumers have to buy dollars in order to purchase a barrel. Or producers sell their barrels for dollars and then exchange these dollars for their own currency. The domestic price based on the exchange rate is not always stable. Russia, one of the biggest oil-producers in the world, is the best example. 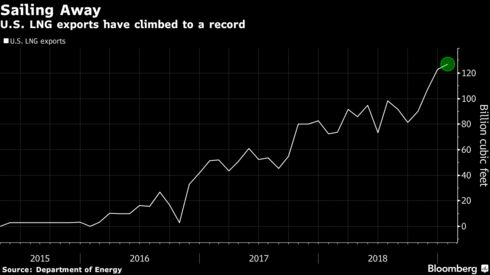 You may wonder how it is possible that so many oil companies are in trouble except Russian Rosneft, which reported $1,7 Billion net profit1 for the third quarter. The graph below explains almost everything. 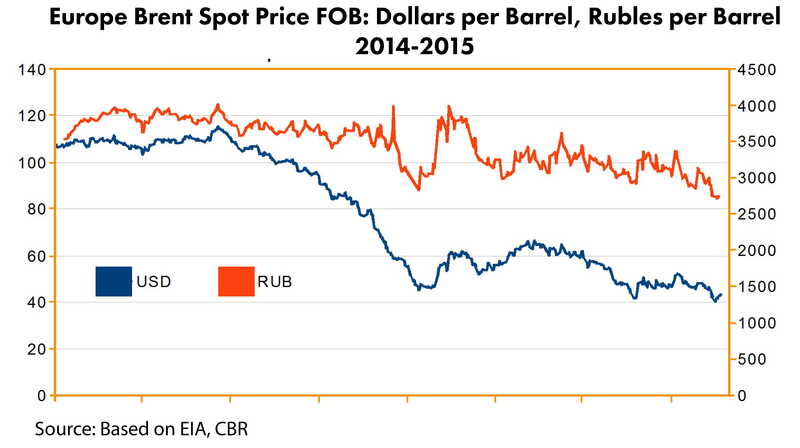 In Russia the price of oil has fallen since the beginning of 2014 only by 20%, while in the USA oil collapsed 60%. 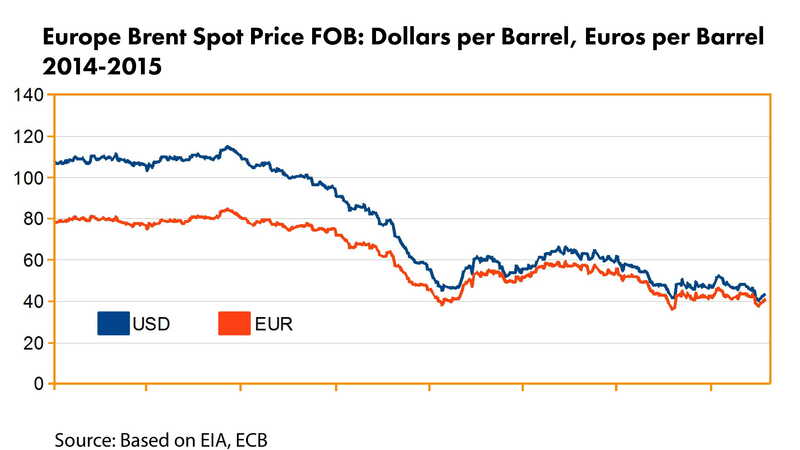 Also in Europe the drop in the price of oil is relatively not as high, but in the case of the EU it wasn’t an advantage. EU-countries are (generally) oil consumers, they prefer to have a strong currency. As the euro is becoming less and less valuable in comparison to the US dollar European oil price lose less in value than it it did in the US. 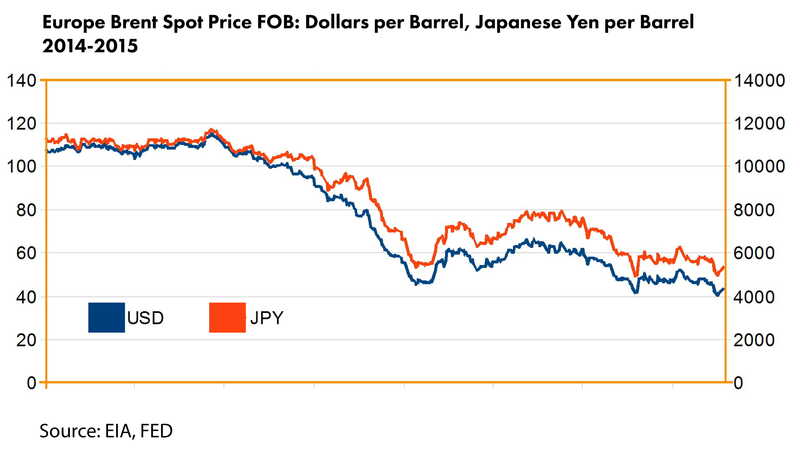 The same goes for Japan and China – other huge oil consumers. Canada is in a terrible position. It is an oil producer, so it would be better for Canadian companies to have a weak currency. 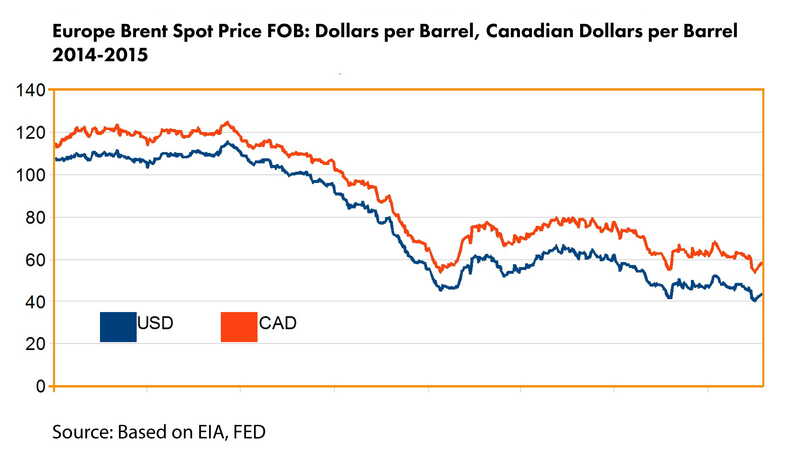 However, the Canadian dollar is strongly dependent on the oil price, so Canadians have suffered a lot this year.